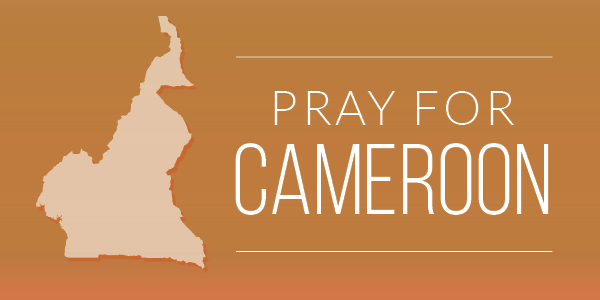 Pray for Cameroon – North American Baptists, Inc. Tomorrow, October 7, the Cameroonian presidential elections will be taking place. We, along with the Cameroon Baptist Convention and our team in Cameroon, are grateful for your prayers, and we continue to covet them. Please spend some intentional time today and tomorrow praying for God’s peace to settle upon this nation and that God’s loving, protective hand would be over our missionaries and the people of the Cameroon Baptist Convention. Please consider sharing this with others; maybe even take a few minutes during your church service to lift this ongoing conflict up as a united body of believers. The BBC article below that came out on Thursday gives a very good and accurate telling of what’s currently happening in Cameroon. Please read this so you can be as informed as possible on this situation that affects our missionaries and our Cameroonian brothers and sisters in Christ. If and when we get any crucial updates or information, we will try to communicate to our NAB family in a timely manner. as missionaries, one of our biggest challenges is knowing the right thing to do. In light of God’s Kingdom ministry, the right thing may not always be the safe thing. Safety and security may be high western values, but it is a value that is often not afforded to our non-western brothers and sisters in Christ. We want to make sure that we do not trade the idolatry of security for the biblical values of the Kingdom. Thank you for your continued partnership and prayers!